The ISO code of United Arab Emirates is AE according to the ISO 3166 standard. The local name of the country is Al Imarat al Arabiyah al Muttahidah. United Arab Emirates capital city is Abu Dhabi. People in United Arab Emirates speak the Arabic language. On 2 December 1971, United Arab Emirates emerged as a sovereign political entity. In the year 12/02/1971, United Arab Emirates emerged as a sovereign political entity. The largest cities in United Arab Emirates are Abu Dhabi, Dubai. United Arab Emirates is located in the UTC +04:00 time zone, which is also called Gulf Standard Time or GST. The internet country code top-level domain (ccTLD) for United Arab Emirates is .ae. Other domains assigned to United Arab Emirates are امارات.. The International dialing code for United Arab Emirates is 971. People in United Arab Emirates drive on the right side of the road. Total land area of United Arab Emirates is 83,600 km² (approx. 32,278 mi²). United Arab Emirates is not a landlocked country. It means that is is bordered by at least one major body of water. United Arab Emirates is located in Asia. United Arab Emirates is considered to be a developing nation. The developmental stage of a nation is determined by a number of factors including, but not limited to, economic prosperity, life expectancy, income equality, and quality of life. Currently United Arab Emirates faces various issues, including lack of natural freshwater resources compensated by desalination plants, desertification, beach pollution from oil spills. We offer various corporate services in United Arab Emirates jurisdiction. These services can serve both, people coming from United Arab Emirates and foreigners. If you plan on doing business in United Arab Emirates you might be interested in contacting us. To find out about starting your business in United Arab Emirates click on company formation in United Arab Emirates. To find out how to open a bank account in United Arab Emirates and moreover what type of account Confidus Solutions suggests to create, please click on bank account in United Arab Emirates. Choose preferred service below or continue reading to find out more about United Arab Emirates. The total population of United Arab Emirates is 9,541,615 people. In United Arab Emirates, the population density is 99 people per square kilometer (258 per square mile). Because of this statistic, this country is considered to be sparsely populated. The ethnic diversity is rather diverse according to a fractionalization scale which for United Arab Emirates is 0.6252. United Arab Emirates has approximately 8095126 foreign immigrants. The median age is approximately 30.3 years. In United Arab Emirates, 85 in every 100 people use internet. United Arab Emirates has a Human Development Index (HDI) of 0.827. The majority religion of United Arab Emirates is Islam, United Arab Emirates is considered to be a developing nation. The developmental stage of a nation is determined by a number of factors including, but not limited to, economic prosperity, life expectancy, income equality, and quality of life. Click on a link to read more on demographics of United Arab Emirates. People in United Arab Emirates speak the Arabic language. According to data on inbound tourists in United Arab Emirates, 7,126,000 tourists arrive in the country each year. The first McDonalds in United Arab Emirates was opened on 21 December 1994, and it was located in Abu Dhabi. One of the most popular national dishes of United Arab Emirates is makbus. To read more click on culture of United Arab Emirates. United Arab Emirates is considered to be a large nation because of its total area. Its total land area is 83,600 km² (approx. 32,278 mi²). United Arab Emirates is located in Asia. Its capital city is Abu Dhabi. United Arab Emirates has 3 neighbouring countries. Its neighbours include Oman, Qatar, and Saudi Arabia. Total length of land borders of United Arab Emirates is 1066 kilometers (~412 miles). The highest point of United Arab Emirates is an unnamed location, with its official height being 1910 m (6,267 ft). Including land mass and EEZ, the total area of United Arab Emirates is approximately 141,818 km² (~54,756 mi²). The most notable natural resources found in United Arab Emirates are petroleum, natural gas.To read more click on geography of United Arab Emirates. The currency of the country is United Arab Emirates dirham. The symbol used for this currency is د.إ, and it is abbreviated as AED. 1.7% of population in the country are unemployed. The total number of unemployed people in United Arab Emirates is 162,207. Each year, United Arab Emirates exports around $368.9 billion and imports roughly $249.6 billion. The Gini Index of the country is 31. United Arab Emirates has a Human Development Index (HDI) of 0.827.The Global Peace Index (GPI) for United Arab Emirates is 1.805. United Arab Emirates has a government debt of 43.3% of the country's Gross Domestic Product (GDP), as assessed in 2012. United Arab Emirates is considered to be a developing nation. The developmental stage of a nation is determined by a number of factors including, but not limited to, economic prosperity, life expectancy, income equality, and quality of life. Major industries in the country are petroleum and petrochemicals, fishing, aluminum, cement, fertilizers, commercial ship repair, construction materials, handicrafts, textiles. The total Gross Domestic Product (GDP) assessed as Purchasing Power Parity (PPP) in United Arab Emirates is $617,138 billion. Each year, consumers spend around $200,387 million. The ratio of consumer spending to GDP in United Arab Emirates is 0%, and the ratio of consumer spending to the world consumer market is 0.47. The corporate tax in United Arab Emirates is set at 0%. Personal income tax ranges from 0% to 0%, depending on your specific situation and income level. VAT in United Arab Emirates is 0%. To read more click on economy of United Arab Emirates. Infrastructure quality in United Arab Emirates is rated to be at 3.7. It indicates a satisfactory quality - roads, railroad, ports and other facilities are able to handle significant traffic at all times and are also suited to various types of transport vehicles and vessels. In United Arab Emirates, 97.7% of the population has access to electricity. There are 337,804 internet hosts in United Arab Emirates. United Arab Emirates has 43 airports nationwide. The logistics performance index of United Arab Emirates is 3.54. It indicates a satisfactory performance - in general, traffic is handeled well, some flaws in certain areas are possible, but overall the logistics system performs reliably and is ready to handle predictable amounts of traffic. Tracking possibilities for shipments are rated at 3.57. It indicates a satisfactory performance - the tracking systems provide all the basic information as well as additional data about shipments; most of the times it also has a weel established cooperation with foreign and international tracking systems, as well as usually provides information in multiple languages. The number of road motor vehicles per 1000 inhabitants in United Arab Emirates is 519. To read more click on infrastructure of United Arab Emirates. United Arab Emirates, is a federation of 7 hereditary monarchies. With regard to political and civil freedoms, United Arab Emirates is 3. Citizens in United Arab Emirates experience little to no civil liberties and political rights. Citizens are not free to express themselves and do not enjoy political freedom or a representative government. Countries with this political situation are dangerous for investment, as an authoritarian government may have outsize control over economic matters. The head of the government is Khalifa bin Zayed Al Nahyan. According to the World Bank Group, the government effectiveness index of United Arab Emirates is 1.48. This indicates that the government of United Arab Emirates is effective. Citizens enjoy well-organized public and civil services, and government efficiency is high. While some services may be lacking in certain areas, the overall environment fostered by government legislation is favorable.In United Arab Emirates, the legislative power is vested in a Federal National Assembly. The Global Peace Index (GPI) for United Arab Emirates is 1.805. The strength of legal rights index for United Arab Emirates is 2. Overall, it is considered to be rather weak - bankruptcy and collateral laws are unable to protect the rights of borrowers and lenders in case of credit-related complications; credit information, if any at all, is scarce and hardly accessible. United Arab Emirates is a member of the United Nations (UN). On 9 December 1971, it joined the UN as a full member state. United Arab Emirates is a member of the World Bank. To read more click on politics of United Arab Emirates. United Arab Emirates emits 20.4 metric tons per capita of CO2. 3120 km² of United Arab Emirates's territory is covered in forests. and forest land comprises 4% of all the land in the country. The number of road motor vehicles per 1000 inhabitants in United Arab Emirates is 519. To read more click on environment of United Arab Emirates. The development of telecommunications and economic globalization has made it possible for interested investors to form companies around the world. With proper research, financial investments, and legal backing, business ventures can safely be established in United Arab Emirates. When establishing a company in United Arab Emirates, an interested investor must do due diligence with regard to legal processes, international regulations, and sufficient investment for success. 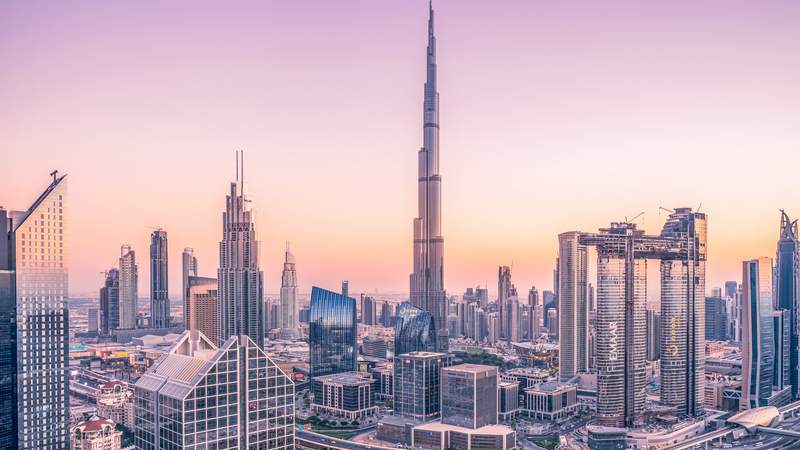 It is critical to understand cultural, social, and political factors of United Arab Emirates that will affect the establishment and growth of one's business. Contact us or click on company formation in United Arab Emirates to read additional information when setting up a business. With the right paperwork and initial outlay, it is possible for a foreign citizen to open a bank account in United Arab Emirates. This opportunity for international accounts and investments offers several advantages based on economic regulations and tax structures. Interest rates and fees vary depending on your interests. When considering opening a bank account in United Arab Emirates, one must enlist the help of international experts to guide them through the process. To find out more about our banking services click on bank account in United Arab Emirates or contact us.